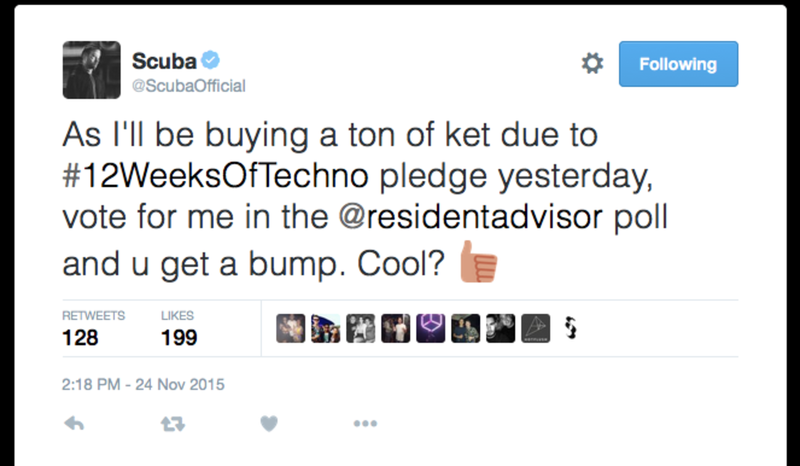 "As I'll be buying a ton of ket due to #12WeeksOfTechno pledge yesterday, vote for me in the @residentadvisor poll and u get a bump. Cool?" Well, this news comes at a very interesting time. 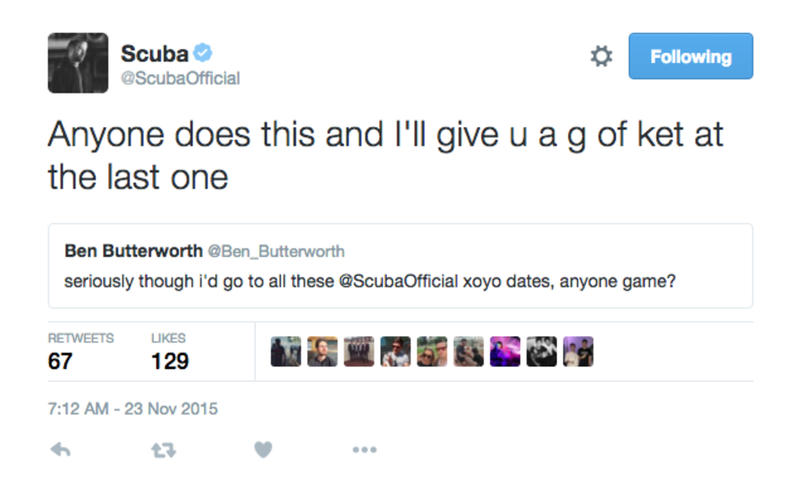 Just a few days ago we published an article about how ketamine should be left out of clubs and now it looks like Scuba is offering it to his fans. 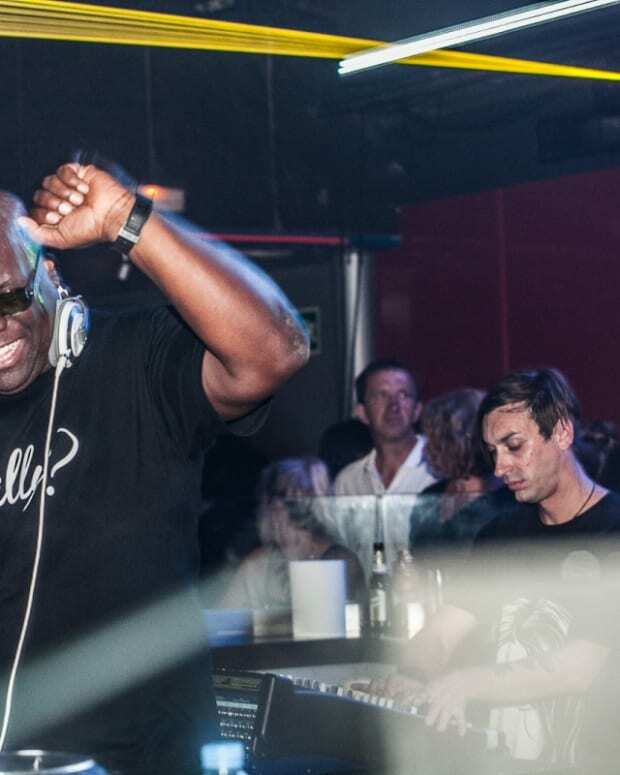 The deal is this, if you vote for him in a readers poll he will give you a line of ketamine and if you make it to all 12 nights of his XOYO residency he will give you a gram. 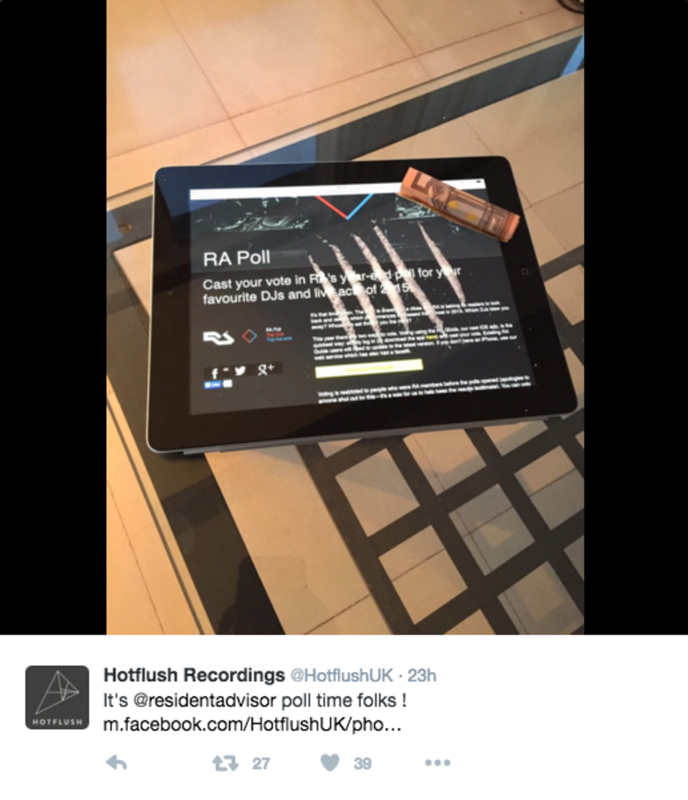 It looks like he has some crack PR team behind him for sure. Read the tweets below to get the gist. So, there you have it. 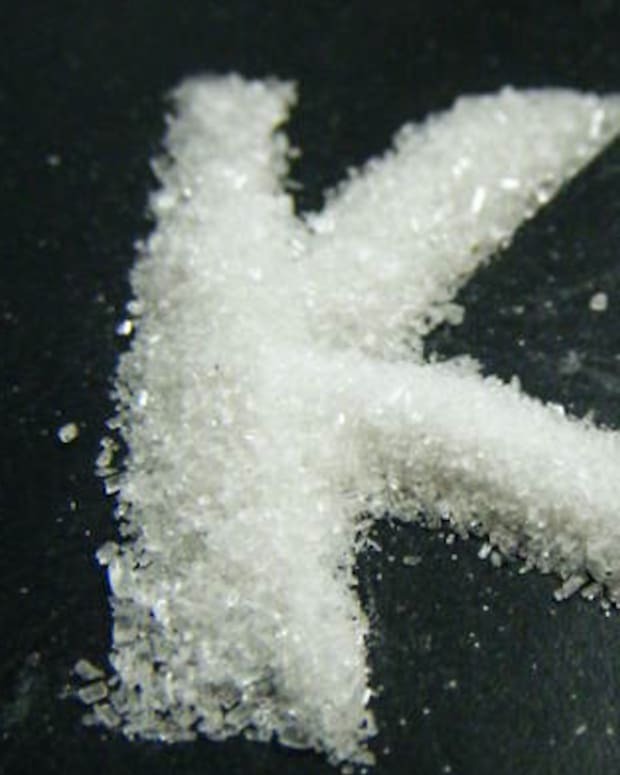 Scuba loves ketamine and we know he&apos;s not the only one. 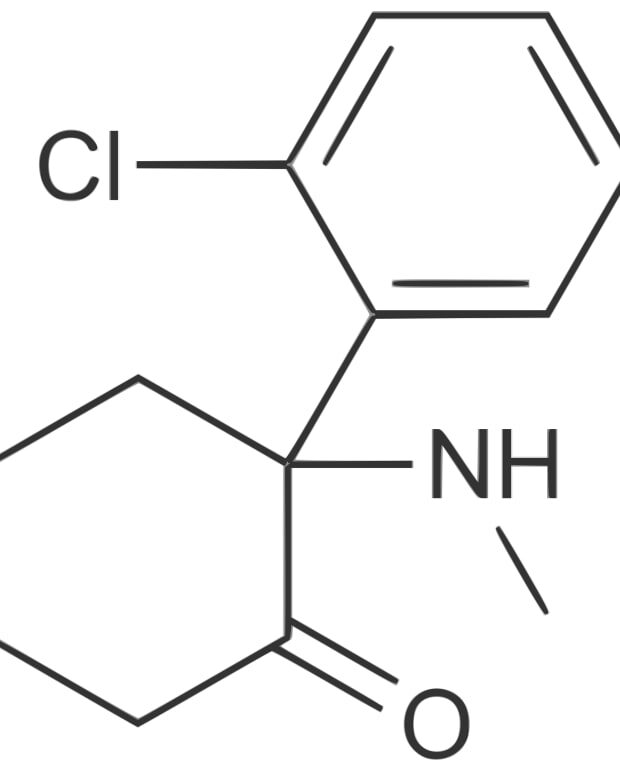 Read our article about ketamine to learn more.